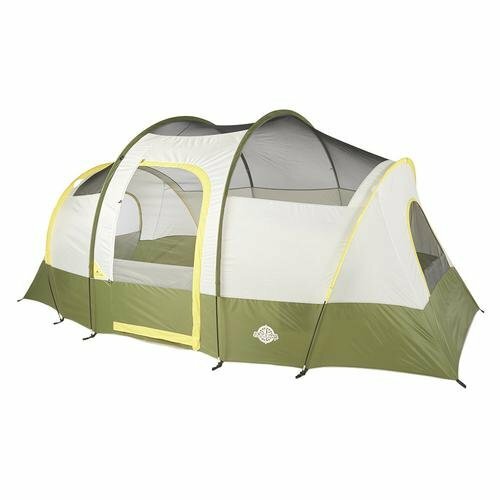 Perfect for camping with a group, the roomy Guidesman Tahoe 7-person tent is a great companion no matter where you decide to set it up. Smartly designed with multi-diameter poles for more headroom and hooped fly pole over the door for extra rain protection, there's also a removable divider curtain that creates two separate sleeping areas. Claim your space!